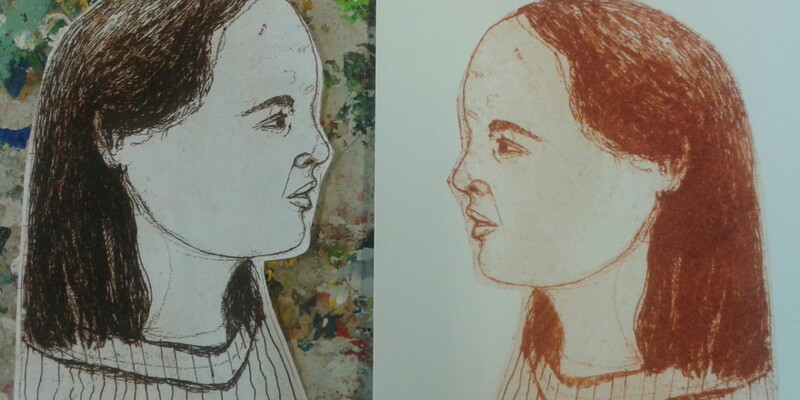 Workshop paper lithography: creating new images with color and printing layer upon layer. In the summer of 2012 I traveled to New York to work there for two months at the Manhattan Graphics Center. That’s where I learned the paper lithography technique. I had never heard of it before but I was fascinated by the results and the possibilities it gave me. You don’t need to be an experienced printmaker to use this technique; it is easy to learn and once you get the hang of it you can go on forever and you start to see all the possibilities it can give you! It all starts with a plain black and white copy from a regular copy machine (toner) you usually find at libraries or in an office. 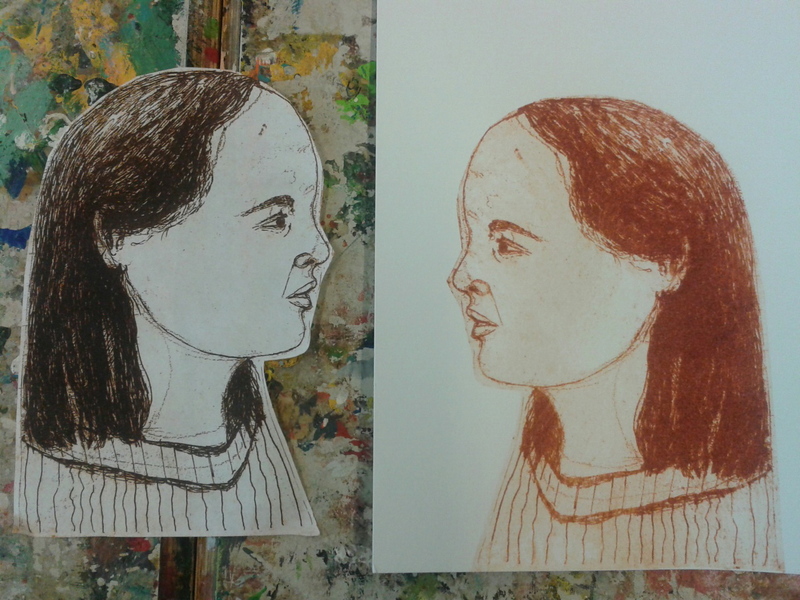 By making the copy soaking wet and by pouring gum arabic on it you make the copy printable. With a soft roller you put etching ink on your copy. The ink will stay on the black parts of the copy and the white parts you rinse with water. Now your copy is ready to print! The whole process is rather quick but you should always keep in mind that the copy is soaking wet, so very vulnerable. What makes the technique very interesting is that you can work on many prints at the same time, because they need to dry, and you can build up your image like a collage. You bring different copies of different images to the workshop, you start cutting out different shapes and forms. Each shape you cut out you can print in a different color within the same image. Like working on a collage or a painting. For me it is important that people use the workshop to play and to experiment. This technique it isn’t about making the perfect print but to create new images. I usually organize this workshop at KKV in Nacka, Stockholm. It is a one day workshop; we start at 10 and we finish at 16.00. It is possible to give the workshop at other locations, but then of course I need to adjust the price.